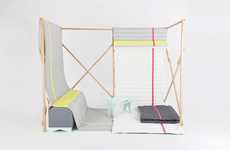 It can be difficult to discover a place to escape in the chaotic modern world, yet the Mikasi Tent demonstrates a wonderful attempt to mute the noise and reduce your stress. 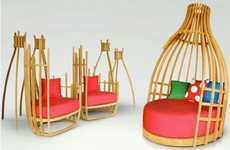 Yes, it is mere piece of furniture, but its rudimentary and whimsical form expresses the simplicity and imagination that many people crave. 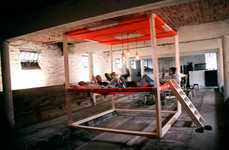 Confused Direction use ash wood to manufacture the accordion-style frame. 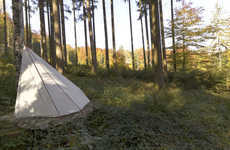 To make it compact and portable, long and thin timbers are screwed together for an expandable and retractable structure. 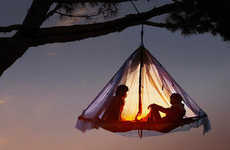 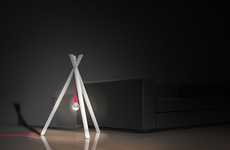 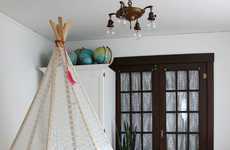 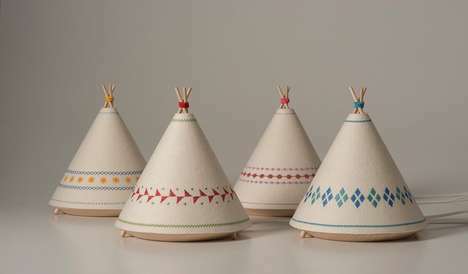 The contemporary teepee stands 2.5 meters tall and encloses a cozy diameter of 140 centimeters. 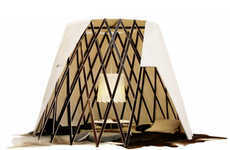 Wedges of under-padding create a cushioned hexagon to provide comfort inside. 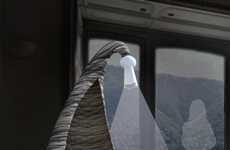 The exterior is draped with Tyvek sail material that offers privacy, protects you from sunlight and wafts gracefully in the wind. 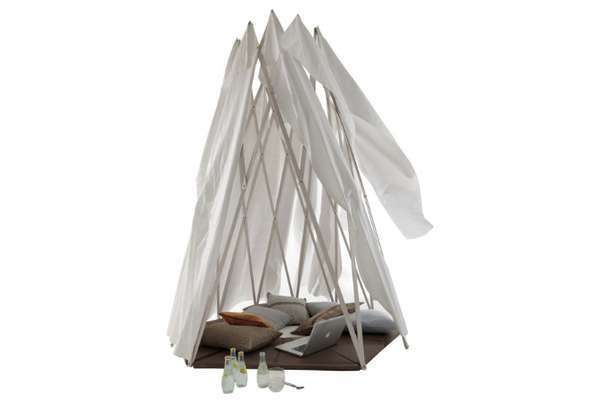 The Mikasi Tent is marvelous for indoor and outdoor use as a soothing sanctuary amid a face-paced life.